Very stylish and sleek looking. The rose gold strap and the dark watch face contrast nicely. 1st Class service. Could not be faulted. 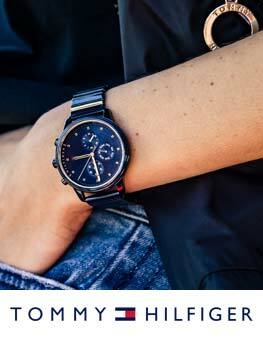 I absolutely love my Skagen watch. I have been unable to wear a watch for over 10 years due to arthritis. This soft mesh strap is so comfortable its just like a sleeve cuff. 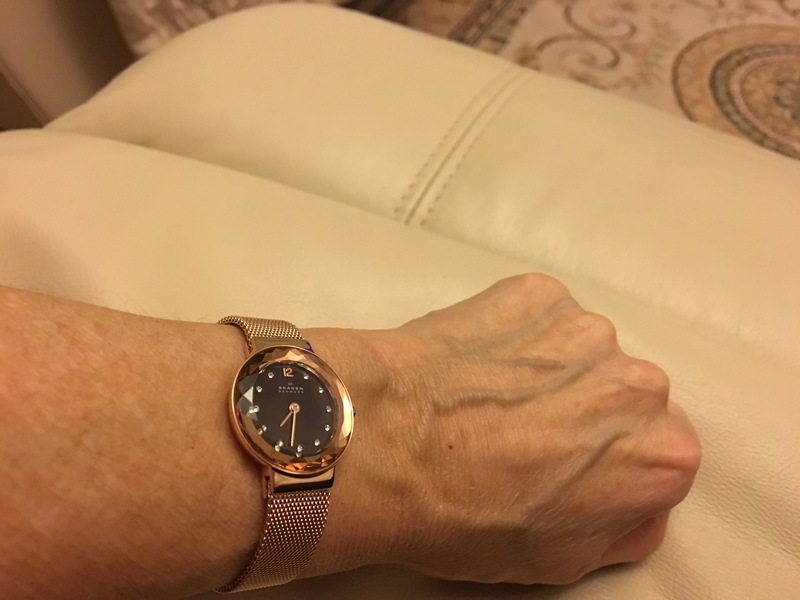 My wrist is also very small and the adjustable strap was very easy to fit and fasten. The rose gold and sparkly face has had many compliments. I am so impressed, I now have one in gold as well. 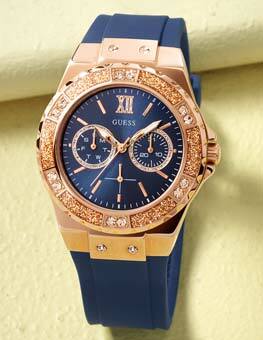 Good delivery service and nice watch. Payed actors for gift wrapped, this however was very poor. I have had to re wrap it myself and made a better job. 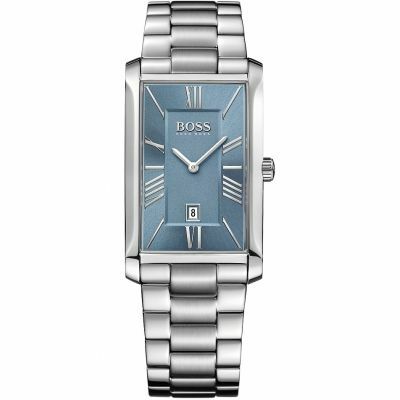 Love this watch - have had a sneaky look as it is a Xmas present to me! Love the colour and looks classy. Cant wait to wear it. Very happy with my new watch. Comfortable to wear and it looks fab. Good choice : . 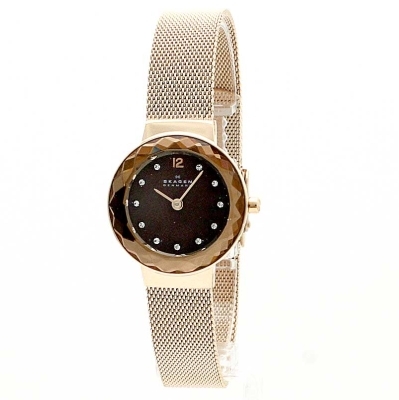 The watch was just what my wife wanted,the style is very elegant.The watch looks expensive and has an easy adjustable strap.The colouring is nice and subtle. 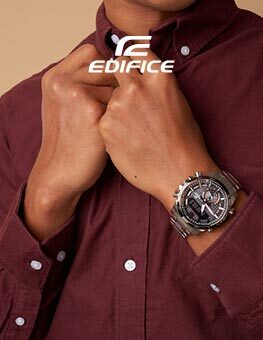 Nice looking watch, easy to see the time even in poor light. Bracelet is very smart looking and easily adjustable, with a secure clip. 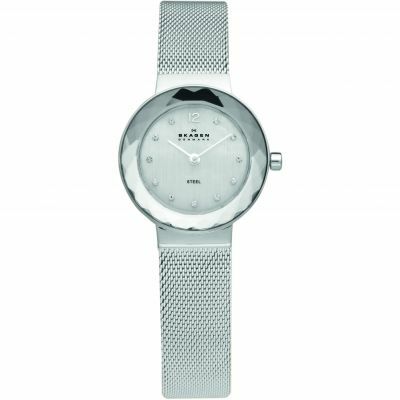 Watch Shop is een geautoriseerde Skagen verkoper. 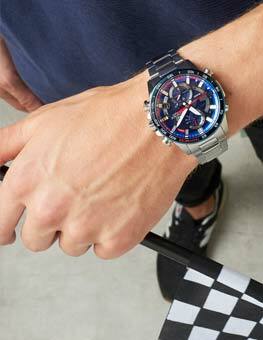 Meld u nu aan om e-mail updates te ontvangen wanneer nieuwe stijlen van Skagen worden toegevoegd aan Watch Shop!